Sometimes the internet presents something so utterly bizarre that it is impossible to ignore. Thus do I tip my hat to Beverly Bambury for linking me to Star Drunk: Space Alien V.
This short film purports to be both written by drunk people and also performed, without revisions to the booze soaked script, by actors in a similar state of inebriation. The production itself was sponsored by New Deal Distillery, a Portland based producer of craft vodka, gin, and liqueurs. PS to New Deal Distillery, call me if you ever want to sponsor a drunk podcast. Star Drunk’s acting and writing certainly do seem inspired by a fair measure of liquid creativity. There’s an expected amount of slurring, stammering, and utterly nonsensical dialogue. The best comedic moments occur when stopping to ponder on if an actor botched a line, or if a writer intentionally got it wrong. As much as these instances are quite chuckle worthy, I think they’re somewhat dwarfed by the movie’s amazing post-production work. 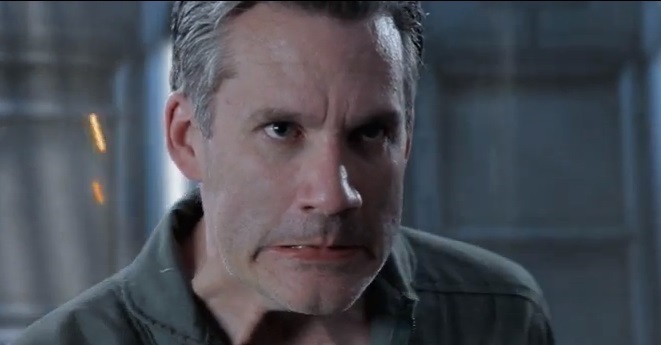 There is a blink-and-miss-it battle sequence which matches anything seen in Battlestar Galactica. As well, and for want of a better adjective, there’s a distinct “cool” factor in the main starships’ design. The bow looks like two Star Wars Dreadnaughts fused together with the aft section of the Battlestar Pegasus. Quite honestly, I think the special effects might steal the show from the hammered cast. Star Drunk also has me wondering if drunken comedy is becoming more of a touchstone within the pop culture spectrum. The obvious point of comparison here is Comedy Central’s Drunk History. Though the one thing that Drunk History brings to the table that’s missing from Star Drunk, and perhaps the essential selling point of “drunk” comedy, is having the sober straight man. Is the trope slapsticky and juvenile? Perhaps. Does it glorify alcohol abuse to the point that some buzz kill will inevitably feel the need to talk about how alcohol addiction ruins lives and destroys families? Quite likely. Would I watch a whole web series of Star Drunk? Almost certainly, and I don’t think I would feel bad about it, either. 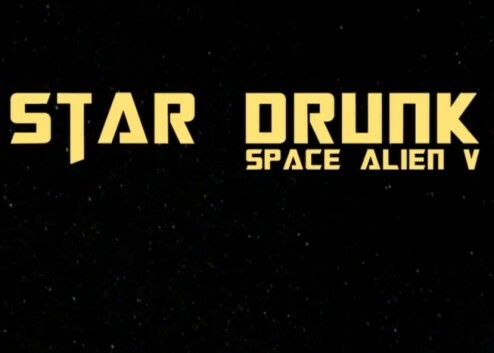 So to the cast and crew of Space Drunk I say good on you for putting it out there. Now let’s have another round.